Yes, it’s true. In a recent Pollstar article Perry Farrell expressed a genuine desire to perform on a more intimate level with fans as the band travels the world on their upcoming 2012 tour that begins in February. Well, now the concept of orgies at shows is definitely a provocative one. And as we’ve rethought Farrell’s visionary live show approach, we know Farrell’s choice of words to describe their live show is no surprise because he’s had a history of pushing the boundaries of the live music experience with Lollapalooza and other creative endeavors. And this makes perfect sense because, as we predicted in our 2011 Live Fix Radio 2011 wrap up episode, more fans will continue to go to smaller mid-sized venues to experience live music in 2012. And Jane’s Addiction seems to be positioning themselves to be right in the thick of that trend. 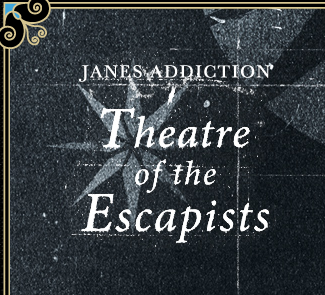 And by the looks of the Jane’s Addiction fan site, the fans are ready to embark on the next phase of the band’s career this year. Here’s a snippet from the blogs section where a fan, “Acidhead Medusa” has excitedly shared rare concert footage with the JA community. I have the complete concert of Janes playing at Subteranea in London in september 1990 this was filmed with a single video camera from a balcony position and it is pretty good quality for this time. I have also got their gig at Brixton when they supported Wonderstuff and some of them at Rock City in Nottingham. As far as i know this is the only footage of them in the UK. If anyone would be interested in seeing this let me know and I will upload it. If anyone has got any other film from UK gigs I would be very interested to see it ( 1989 – 91 ). What’s Your Jane’s Addiction Story? Are you excited about this Jane’s Addiction tour? Got a cool live show story? Share your concert experiences and thoughts in the comments below, on Twitter @livefixmedia, on Facebook or call the concert fan hotline at 773-609-4341, and we’ll include them in a future episode of Live Fix Radio. Is Van Halen Nervous About Their Renunion Tour?